legal father | | The Draper Law Firm, P.C. In Texas, if you are not married when your child is born, there is no legal father. The biological dad is not legally the father until a court adjudicates him to be so. 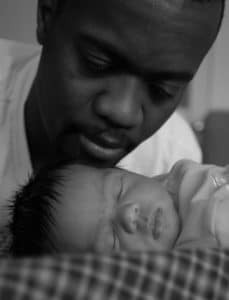 (Prior to a court finding that he is the legal father, the unmarried biological father is referred to as the “alleged father.”) The bio dad can (and should) sign an Acknowledgment of Paternity form when the baby is born. Many hospitals now have this form on site when a baby is born. In order for the biological father to obtain legal status as the father, someone must file a paternity suit. Either parent can file a paternity suit, as can the Attorney General. (Usually the Attorney General will file suit when Medicaid is involved because they want the government to be reimbursed for medical expenses.) This is the case even if everyone admits he is the dad and there is no dispute. This is also the case even if dad signed a valid Acknowledgment of Paternity. The paternity suit serves several purposes. First, it allows the Court to formally adjudicate the biological dad as the legal father. If everyone admits he is the father or if he signed an Acknowledgment of Paternity, then the Court will adjudicate him to be the father. If either side contests paternity, the Court will order a paternity test. Other issues typically involved in a paternity suit are conservatorship (rights and duties), possession and access (the schedule for when each parent has the child), and child support.